You have probably experience a fair amount of success with your current small business or businesses. If you had not, you probably would not be looking for more information on how to franchise a small business. Turning your small business into a franchise is a huge step to take, and there are many details involved to scale the business successfully. This post will provide you with several tips to help ensure a smooth transition to franchising your small business. Obviously, you are currently under the assumption that your business would do well as a franchise. This may not be the case, however. Just because business is going well for you, does not necessarily mean your results will be easily reproduced. Consider how your business would operate on a larger scale. Would your business appeal to other geographical markets across the country? Will you be able to provide future painting franchise owners with the tools to share in your success? Consider these questions before you decide to learn more on how to franchise your small business. In order to provide future franchise owners with a chance at similar success, you will need to be able to tell them exact how you did it. In order to do that, you will need to collect information regarding all operations and procedures of your business, similar to a Scanlon plan. Once you are sure that you have all the information you will need, it is time to put it all together in a franchise operations manual. This manual should be the definitive guide to success for future franchisees. The manual, and the information contained within, is probably the single most important tool you will provide franchise owners. Remember to include thorough descriptions of operations in an organized manner so that you can improve prospective franchise owners’ chances for success. Now that you have a finished product to show, you may want to consider seeking some expert advise. Franchise consultants can lead you through the process as painlessly as possible. These individuals know the ins and outs of successful tactics used at Starbucks franchise and others. Their specialized knowledge will help to ensure that you are not missing any crucial steps in the process to become a franchise. Hiring a franchise consultant will also give you piece of mind for moments you may feel overwhelmed and question your decision. Although it may prove costly, consider consulting a franchise expert to give yourself the best chance at success. The only thing left to do now – hire a lawyer. While consulting with a franchise expert is optional, hiring a lawyer definitely should not be. There is a mountain of office paper that you will have to complete during the franchisement process. Each individual form comes with specific directions on how and when to complete it. This can become overwhelming, especially when you are still trying to run your original businesses. Hiring a lawyer will guarantee that paperwork is done correctly and filed on time. If you were considering to franchise your business without hiring a lawyer, you may want to think again. The final step for how to franchise your small business successfully is to be incredibly selective when choosing your first franchise owners. You need to be able to navigate this process with these entrepreneurs, so it is crucial that you pick people that you can work with effectively, whether you are starting a wine franchise or any other type of business. It is also necessary to ensure that these people are actually good at what they do. Make sure your first franchisees have a history of success in business, so that you can maintain your business reputation. This is, perhaps, the most important of all the steps to franchise a small business. If you are unable to sell your business plan successfully, you will need to consider hiring someone to sell it for you. Some business owners are uncomfortable pursuing leads for franchisees. Others have no issues making sales and closing deals, but struggle with selling franchises of their business. In these instances, it is best to hire a sales expert, particularly a franchise sales expert. This way, you can make sure to get word about your business franchise out there without having to worry about getting your own hands dirty. This will lead you more time to worry about maintaining your current cash flow management strategies. Follow these tips for the best chance at successful franchising for your small business. If you are overwhelmed by all the information regarding how to franchise, you may want to consider consulting with an expert. Before doing so, make sure you have gathered and neatly arranged information regarding business operations and holiday marketing. 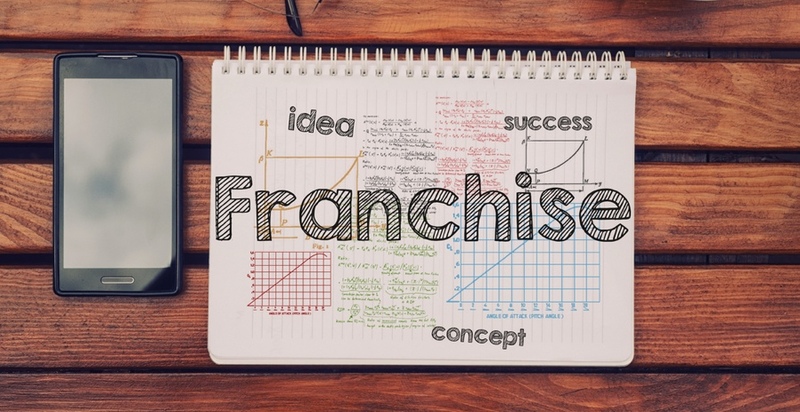 This will ensure your future franchise owners will also be able to achieve success. Once you are sure that you are ready to begin the legal process of franchising your small business, make sure you hire a lawyer. If you make use of these tips, you will understand how to franchise your business successfully.